This week’s stories bring us humour – much needed in these troubled times – amongst nightmare and horror. Our lead story is Self-Reflection by Carl R. Jennings. Hutter is a character who immediately demands your sympathy due to his unfortunate appearance and as you read on, you discover he is very much the Igor of the piece to the Master, always willing to please. There are lovely touches of humour here, the desire to oil creaking hinges only to be slapped down, the obtaining of a mirror which allows a vampire to see their reflection – and the result. Wonderful (and heartwarming in a strange sort of way). Party Time by Alyson Faye is a fun werewolf romp, leading you astray initially as you picture Mike as human. Then you realise he is a werewolf and then the final problem – for him – is his vegan status. He’s not going to get very far with the pack like that! The Tapping by CR Smith travels over several sleepless nights, and is written with a dreamlike – or nightmarish – quality, building a sense of displacement. A particularly nice touch is the denouement when the character discovers they are the source of their own disturbed sleep. The Flask by Maura Yzmore. What would you do to survive? What if you found one other person alive? Companion or food. An horrific choice. 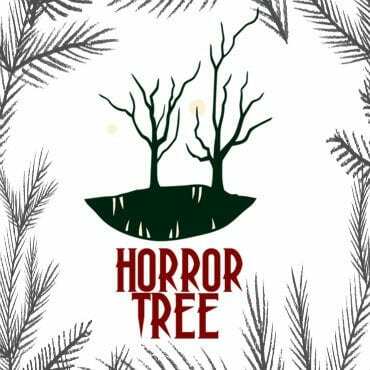 Belated Birthday wishes to Alyson Faye, regular contributor to TWF and interviewer/reviewer at Horror Tree. Think only Richard Meldrum can turn the stories out? I asked Patrick Winters for his total acceptances so far this year (not just in TWF I might add) – last time I reported it, it stood at 6 – well now he has reached 14. That is some start to 2019. On a personal level, I’ve had one short story rejection, one short story acceptance and an expression of interest in my novel. The editor has got the whole manuscript now so I’m waiting … I’m trying not to get hopes up too much, even getting this far is a major step for me. One other iddy, biddy little thing – Nosetouch Press’ Fiends in the Furrows anthology (which contains a story of mine) has made the Bram Stoker Award Preliminary Ballot for the anthology section. If nothing else happens for me this year, just this will be a highlight! I also read a book recently, It’s Alive: Bringing Your Nightmares to Life, ed. Joe Mynhardt and Eugene Johnson (Crystal Lake Publishing), which I would recommend as a great handbook to all writers. It has a number of essays from some of the best in the business (talking inspiration, character, plotting etc ) and, wonderfully for me (wearing my TWF hat), sections on submitting – reminders of guidelines and how to approach editors – amongst others. 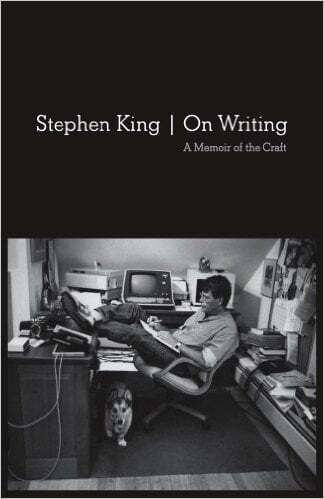 This book also has invaluable tips for screenwriters. So, if you’re lacking a little motivation, grab this and play What If with Jonathan Maberry. Carl R. Jennings doesn’t always submit his work to Trembling With Fear, but when he does it tends to be a great read. Today is no different! A great take on an old classic giving us a quite enjoyable twist. Progress is coming on the anthologies. Steph has split them in two and we’ll hopefully have some artwork to look at soon! Hutter climbed the narrow, helter-skelter stairs in, lurching from one pool of torchlight to another. It was a proper lurch too, being almost a hopping from foot to foot. This was due in part to the large hump on his back and spindly, splayed legs. In fact, all of Hutter looked as though a caring if skint god put him together using factory rejected parts; a face that Marty Feldman would take one look at, shake his head sadly, and offer the owner a drink. The other reason for the difficult movement was the large package he carried. It was easily taller than a full grown main and more than twice as broad. It was three-dimensional but not by much, being hardly thicker than the plain brown paper it was wrapped in. At last, Hutter reached the wooden door the steps lead to. He gently set the package down and took a moment to mop his forehead with his handkerchief. Hutter then turned the latch and pushed the door open. Beyond was an opulently appointed room, even if it was like being inside a coal briquette. Glass-free windows were covered by black curtains that billowed slightly in the cool, gentle night breeze that made the candle flames on nearly a dozen wall mounted holders flicker. Several tall wardrobes made of ebony wood nearly obscured one of the black stone walls. Dominating the center of the room was a shiny, black lacquered coffin sitting on a matching table. The only concession the 19th gave to the 20th century was a black Bakelite phone next to the coffin, its wires running across the floor and out of one of the windows. Hutter carefully leaned the package against the wall next to the door and approached the coffin. Using a gnarled knuckle, he wrapped lightly on its lid. With glacial slowness, the coffin lid creaked open. It was a proper creak too, the kind only achieved by hinges rusted to the point of flaking. Hutter bowed low and winced at the floor as he once again fervently wished the Master would allow him to oil the hinges. He had gathered up his courage once to ask the Master just that, but was curtly told the screeching was a part of the image. How sound could have been an image, Hutter didn’t know, but he let the subject drop. From out of the poofy, black silk lined coffin, the Master rose as though his feet were attached to hinges (albeit silent ones) of their own. The Master wore a dusty black cassock that looked to have been taken from a priest’s buried bones which, in fact, was the case. He ended up standing upright, arms crossed over his chest, while Hutter crossed his crooked fingers that the nails he had driven through the bottom of the coffin would hold this time – he still had bruises from last week’s little slippage incident. The Master opened his eyes and looked down at Hutter, who remained bowed. “Rise,” the Master rasped in mausoleum tones. The word, however, was slightly mangled, the reason for which will be touched upon later. The Master took a deep, whistling breath through his nose. “Show me,” he said. Hutter loped as best he could across the room to where the package leaned. He pulled it up so it was a little more upright and turned back to the room. The Master already stood behind him, his tall body looming. The silent movement had long ago lost the ability to startle Hutter, but he suspected that such a lack of reaction saddened the Master, so he made a point to seem startled. The Master scrutinized the package with narrowed eyes. “Are you sure of this, Hutter?” the Master asked, sounding suspicious. With a proud, anticipatory, lopsided grin, Hutter ripped the paper off the package and tossed it aside. Beneath was indeed a mirror. It clearly reflected the room around it and, to Hutter’s masked relief, it also reflected the Master. Hutter turned to the Master, beaming at a job well done. His smile immediately inverted when he saw the Master’s horrified expression. “Is this what I truly look like?” the Master viciously demanded. “Well, yes, Master,” Hutter said, on the verge of fearful tears. “There’s no need for that, Master,” Hutter said, reproachfully. “Not so much, Master,” Hutter quietly admitted. “Oh damnation!” the Master wailed, burring his face in his hands. Hutter was silent for a moment, uncertain of how to console the Master. He may have been cruel at times, but he was an aristocrat in life – they were just like that. It wasn’t his fault, really. Then inspiration came to him – a solution to all of the Master’s problems. Carl R. Jennings is a man who sometimes arranges words in interesting ways but, more often than not, they’re merely confusing and unsettling. Carl R. Jennings has been published in numerous magazines such as Bête Noir and Grievous Angel, and in several anthologies from companies such Shadow Work Publishing and Gehenna and Hinnom Books. For even more useless information, like Carl R. Jennings’ Facebook page or follow him on Twitter @carlrjennings. Every night’s the same, my head hits the pillow and the tapping begins. Several sleepless weeks later, I track the sound to the empty house opposite. Moonshine follows me through the broken window. From behind a heavy wooden door I hear the tap, tap, tap. I turn the handle. One room leads to another, on and on, each identical yet smaller than the last. The further I travel into the labyrinth the louder the tapping grows. Eventually, I reach a room too tiny to enter where a miniature version of me is beating on the door trying to get out. Mike hung his head, sheepishly. Her twitter handle is @AlysonFaye2. There were still a few drops left in the flask, but Zia hesitated. It hurt to drink. Her throat had been scorched raw, the ozone layer long gone. Her lips were covered in blisters and caked in dirt, her lungs full of radioactive dust. But she was still alive, unlike everyone she had ever known. She was alive, unlike this guy, the first human she’d seen in weeks… The guy whose flask and life she’d just taken. And she planned to stay alive. Zia willed herself to take a swig, then pulled out her knife. Sun-dried earlobes were her favorite. Maura Yzmore’s dark short fiction can be found in Coffin Bell, The Molotov Cocktail, The Sirens Call, and elsewhere. She is a Pushcart Prize nominee. Website: https://maurayzmore.com Twitter: @MauraYzmore.